Everybody loves firework displays. They are beautiful and enjoyable to look at. However, they look even more amazing when you are right in the center of the fireworks. 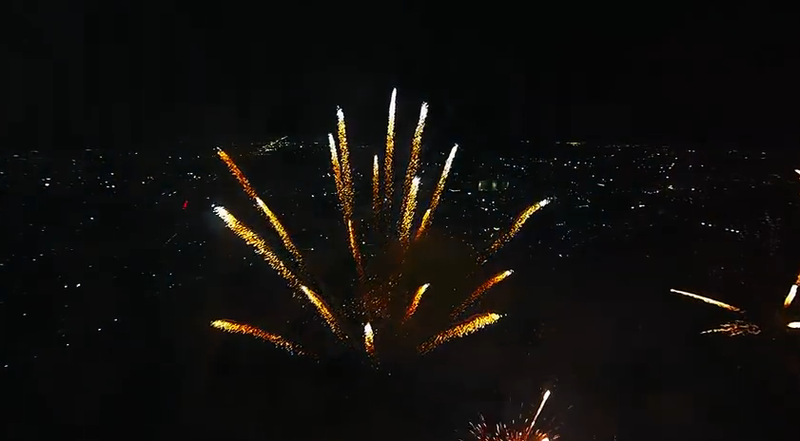 During a fireworks display at the closing ceremonies of the Sunfest Music Festival in West Palm Beach, Florida last May, videographer Jos Stiglingh came up with an idea. 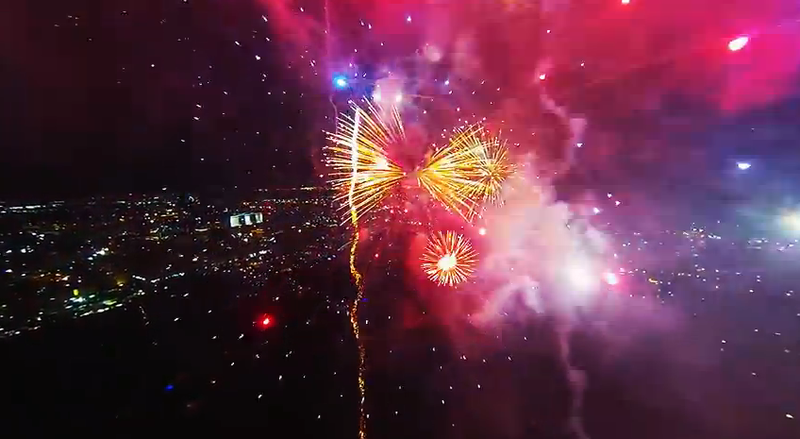 That is to fly a drone equipped with a video camera right into the middle of the fireworks. The footage he caught was nothing short of amazing. Stiglingh mounted a GoPro Hero 3 Silver on a DJI Phantom 2 quadcopter drone. He then remote controlled it to fly over and into the fireworks. Here are a few screengrabs of the footage that the drone took. Watch the full video below. 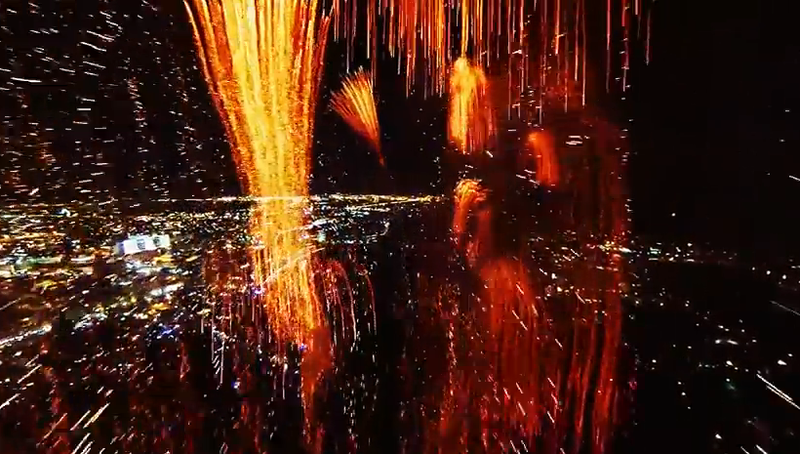 Watch the beautiful display of fireworks as the drone flies near, above and through them. Just amazing.